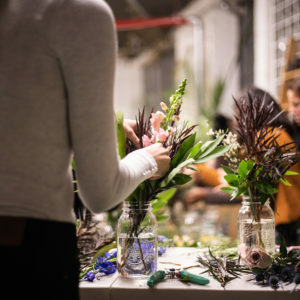 Join us for a creative and informative workshop where we indulge in the basic tenets of floral design. 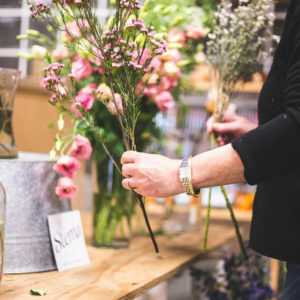 We will discuss the fundamentals of creating a healthy arrangement and the various shapes of arranging. 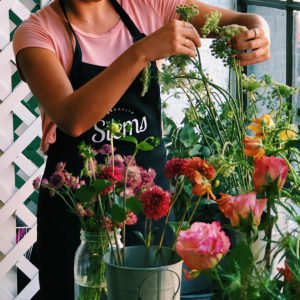 Each participant will leave with their own customized mason jar arrangement as well as the basic skills necessary to create one in the future! 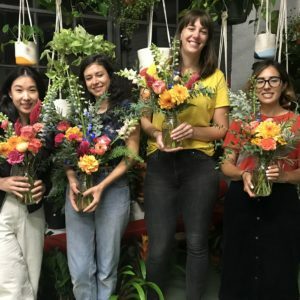 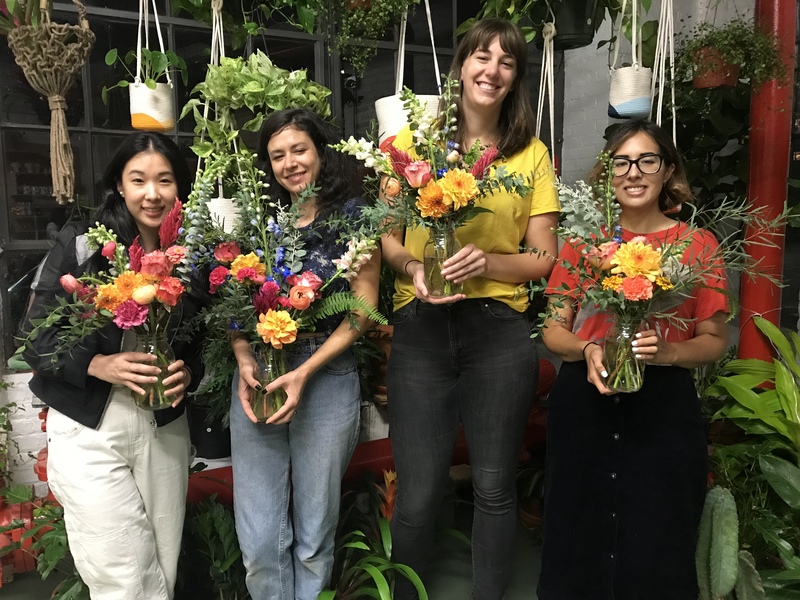 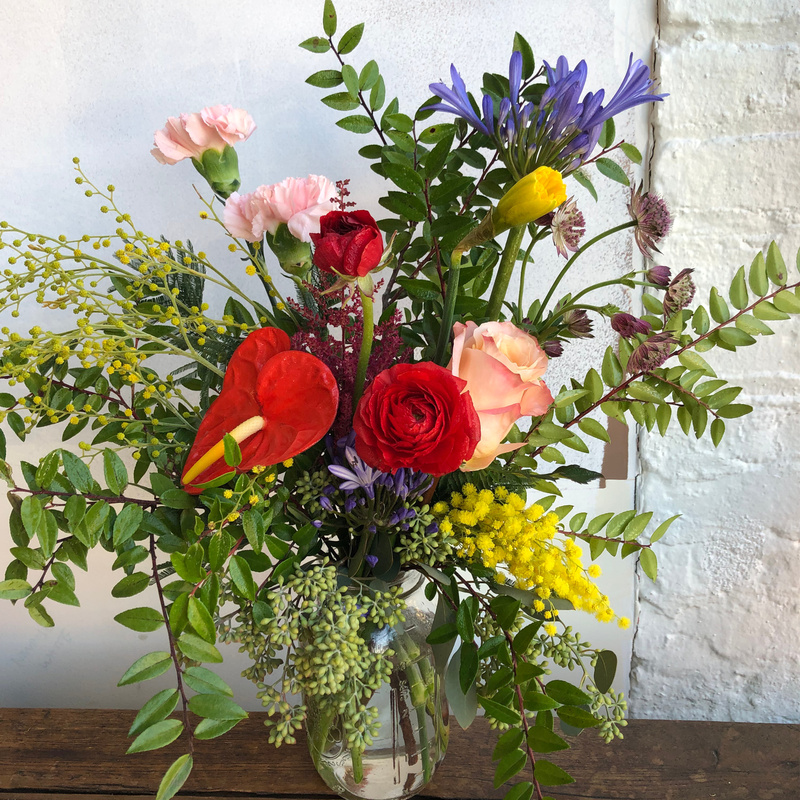 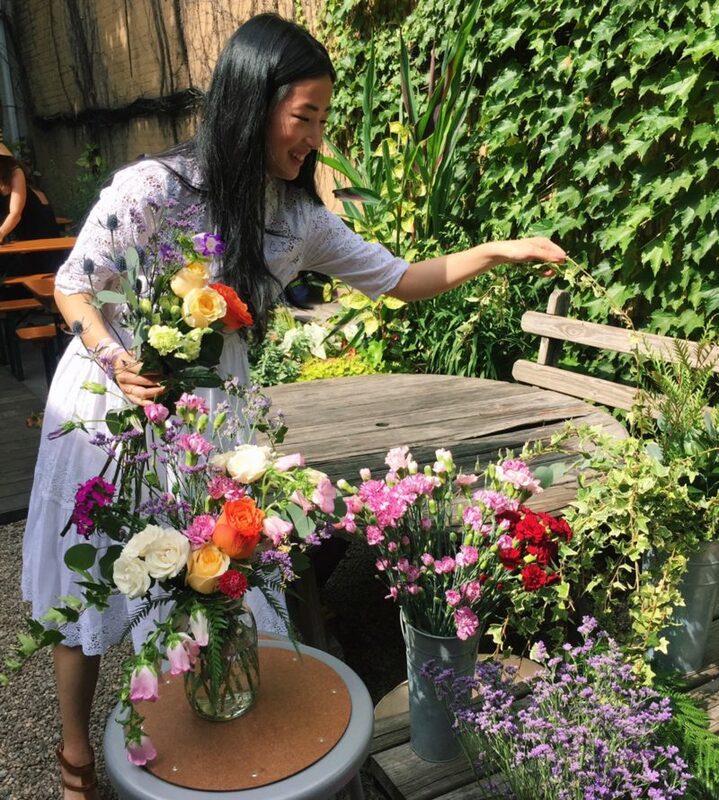 Join us at our open studio in Bushwick for an evening of flower fun! 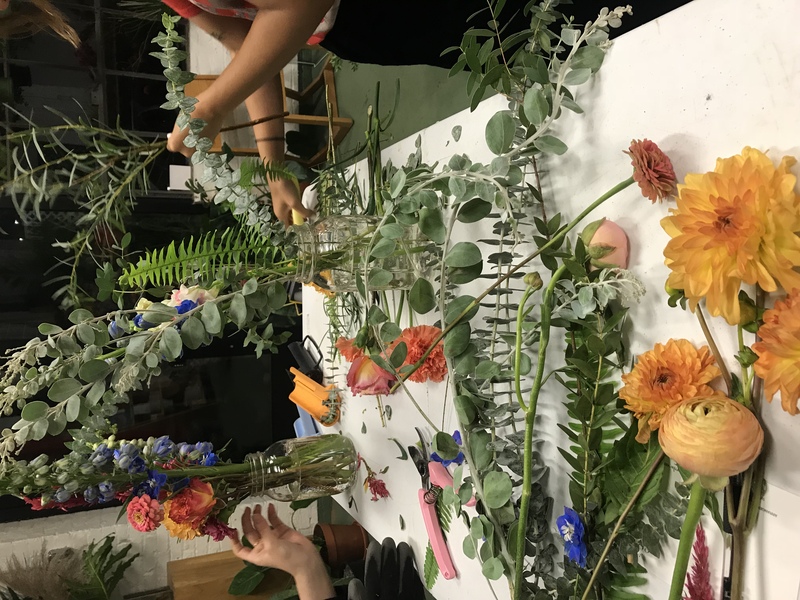 Learn about combining colors, shapes & forms and utilizing various textures to build an unequivocally stunning floral masterpiece. 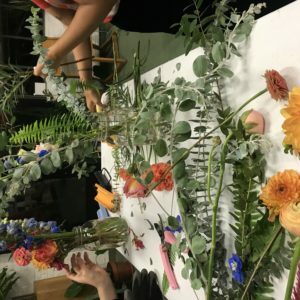 This class will not only introduce you to the basics of floral design but will also be a crazy good time filled with drinks and tunes. We will be using the first of summer’s greens, textural bits and blossoms to create a festive color palette!